Friday is delivery day to Hale Ukulele. 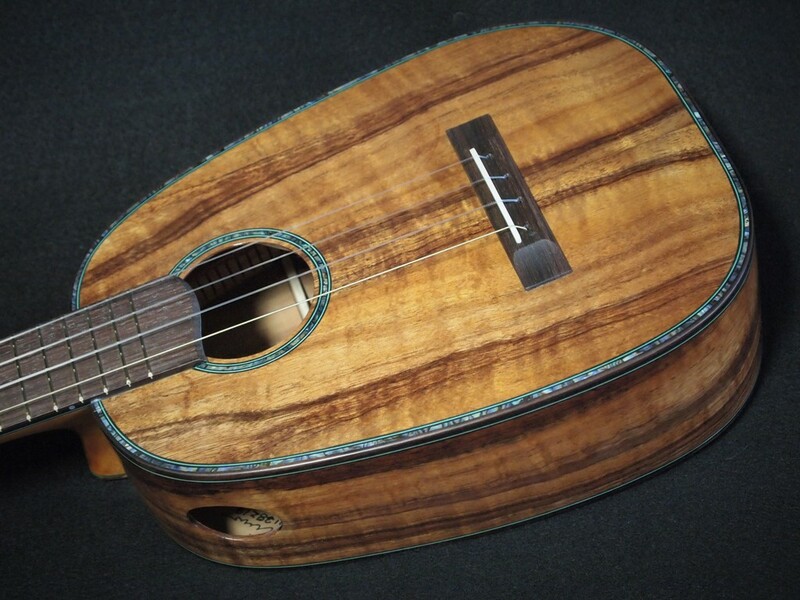 Here’s a new Pineapple and Paua Tenor Ukulele for the shop. 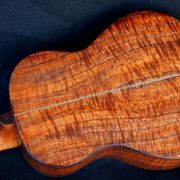 Got some pretty Koa here. 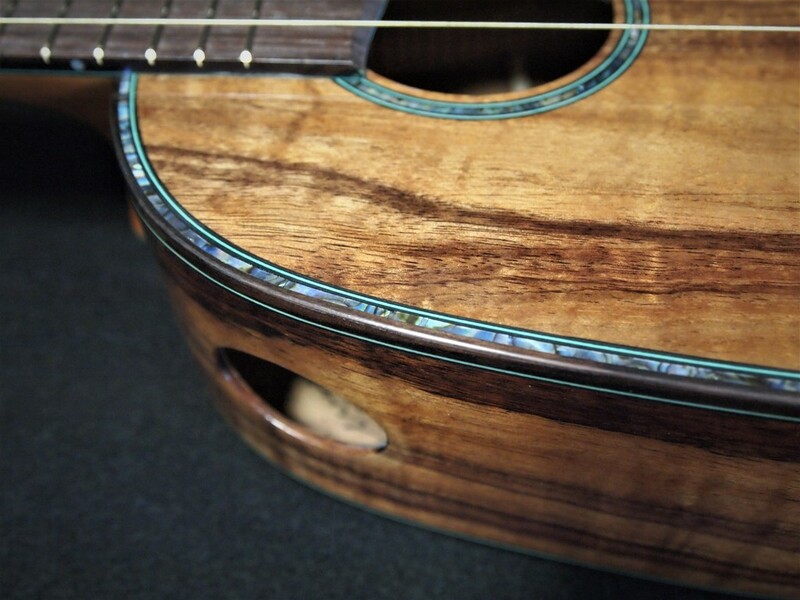 As with almost all the pineapple ukuleles I use green and black fiber for accent color. 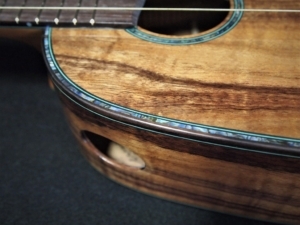 This particular instrument also has Blue Paua Abalone for the sound hole rosette and purfling. In addition, I added a Pineapple Inlay to the head stock. 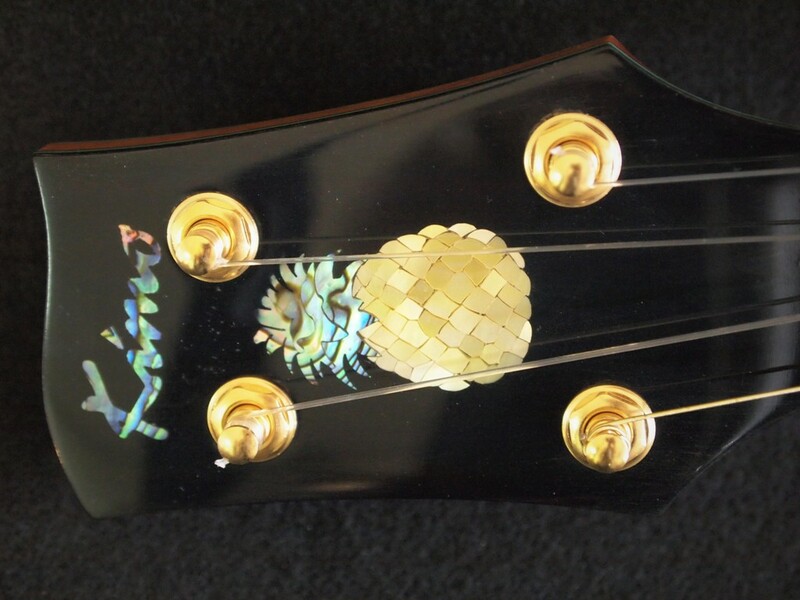 This inlay is made of gold mother-of-pearl and paua abalone. 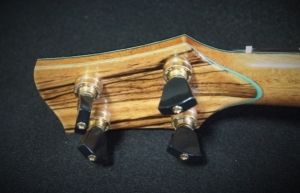 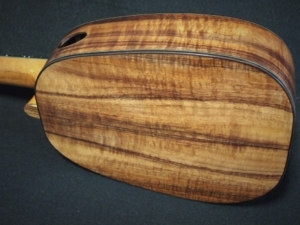 The accent wood is African Zebra Wood. 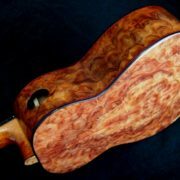 I haven’t used this particular wood as an accent before, but I think it is an attractive departure from some of the burl woods that I usually use. 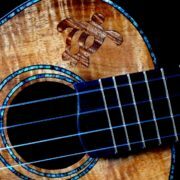 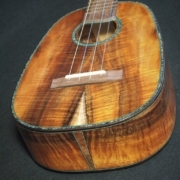 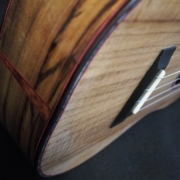 As with most of the tenor pineapples, the sound is almost a duplicate of the standard tenor ukulele that I build. 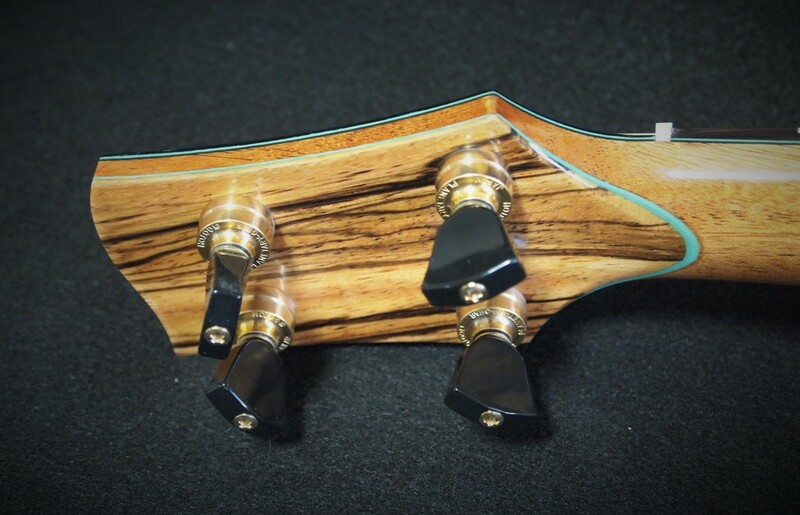 This is helped by the use of Pepe Romero’s flourocarbon strings with a smooth, brass wound low “G”.